Austria’s Federal Economic Chamber represents the interests of the country’s economic operators but is also a cornerstone of the social partnership enshrined in the constitution. Its president, Harald Mahrer, spoke to EURACTIV Germany about Austria’s economic goals in a changing global economy. Harald Mahrer is the former Austrian minister for science, research and economy and has been the president of the Economic Chamber since May 2018. He is one of the closest advisors of Chancellor Sebastian Kurz. 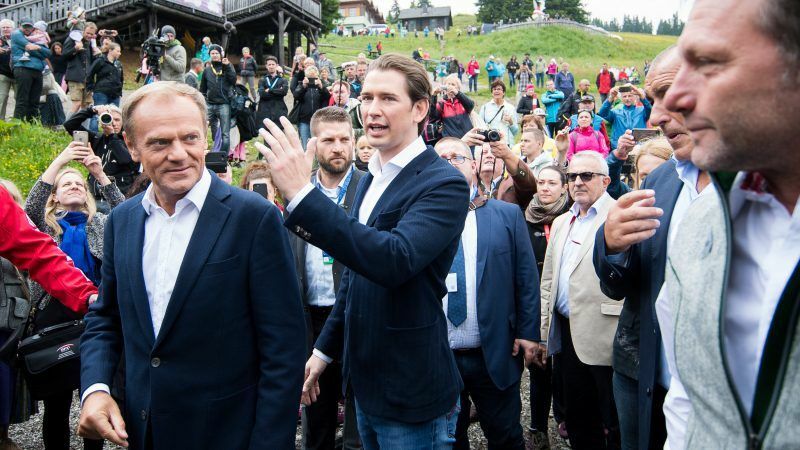 Already in the run-up to the Austrian Presidency, which is not only confronted with major problem-solving but also tasked to set the course for next year’s EU elections, proposals for the reform of the EU were repeatedly presented. Where do you think new economic policy impulses of the EU would be in demand? One of the most important lessons of the economic and financial crisis of 2008/2009 is that we need to consolidate and strengthen the eurozone. We must now ensure that the euro can defy the next crisis. In plain language, this means the rules of the game must be transparent, they must apply to everyone and must be complied with. So we need a stable, crisis-resistant, competitive and innovative economic and monetary union. Only in this way can European companies keep up with the incredible dynamics that many Asian countries are currently living up to. The Austrian economy has profited the most from the Eastern opening. Where do you see future priorities? The Central and Eastern European countries still have higher growth rates than the EU average. But of course one has to be open for new markets. For example, the Western Balkan countries, Serbia, Montenegro, Macedonia, Albania, Kosovo and Bosnia-Herzegovina, with around 20 million consumers, are an attractive market. The improvement of economic cooperation in the Danube region is also of great importance for the Austrian economy, especially the development of the Black Sea region. The development of the Danube as a transport route should be an important goal here, from the water infrastructure to the flood protection to the modernization and interoperability of the ports. Of course, we should commit ourselves to achieving that. In times of globalisation, we should look not only towards Europe but also out into the world. Wouldn’t it be time to place more attention towards the BRICS countries? The Austrian economy earns six out of ten euros in exports. That is why all export markets are very important to me. You are right that Austrian companies are still strongly focused on Europe. Here, our goal is to expand trade with other regions, including, of course, the BRICS countries. Isn’t globalisation in particular calling for a new model of economic policy, as once in the social market economy, to create orderly rules of the game? Is the economic-social market economy just a legend? The regulatory framework is there, but unfortunately in incredible density and abundance. Some people throw in the towel and shift technology developments to other economic areas. The eco-social market economy must not stifle innovation, it was never thought. An example: if you want to invent new recycling or reuse processes for batteries, you need old equipment of the respective variety for experimenting. He does not receive it because of waste regulations. Cleaning up with the Kärcher [German high-pressure cleaners] is therefore the order of the day – the regulatory framework (e.g. permits for waste disposal facilities) per se is not called into question. The EU has been discussing the taxation of major Internet corporations such as Facebook & Co. for some time now. In addition, there are the problems with the international Internet shipping companies that are not covered or are inadequately covered by the Treasury. Is the Economic Chamber focusing on it? The EU estimates that 65% of non-EU shipments to the EU are not VAT-compliant. This VAT fraud leads to blatant competitive disadvantages for European entrepreneurs, especially SMEs. The EU estimates VAT fraud in online commerce at €5 billion annually. This number is expected to rise to about €7 billion by 2020. Of course, online platforms such as Amazon or Alibaba also have to be held accountable in order to counteract such circumvention or even sub-declarations of the value of goods. The Chamber of Commerce here demands that operators of online marketplaces are liable if online third-country merchants do not pay sales tax on their platforms. However, other measures such as the abolition of the exemption threshold for small consignments from third countries would also be expedient. Because it needs fair conditions for everyone. Let us come to a specifically Austrian topic. 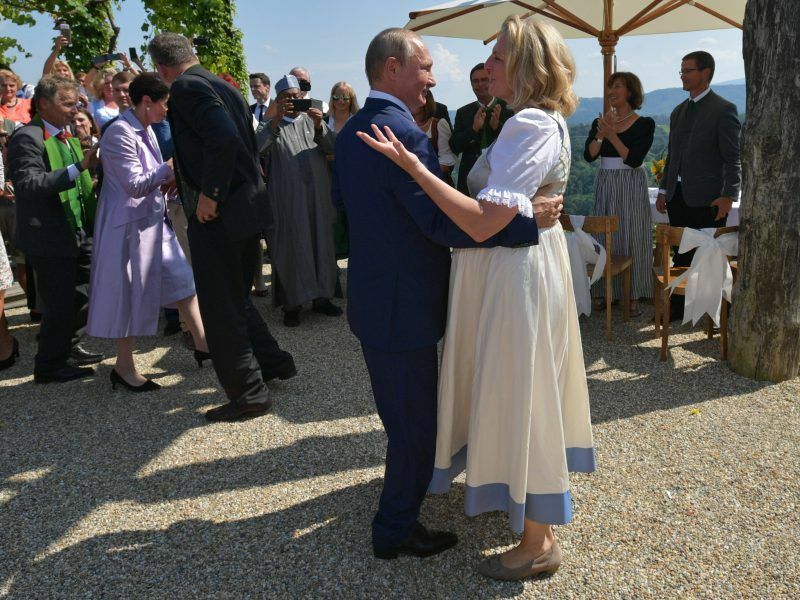 For a long time, social partnership has been a hallmark of politics in Austria. It used to have the reputation of being a kind of counter-government. Is this social partnership still necessary in the face of changes in politics? I am convinced that social partnership can play a major role in the future. Maintaining dialogue and looking for solutions together is always better than the way of opposing one another. However, exchanging concessions and action as at the bazaar no longer meets the requirements of the modern working world. So my answer to your question is yes, it takes social partnership, but one that is open to new things, that answers the questions of the digital age and other major social changes and that is ready to evolve into a future partnership. They themselves belong to the closest circle of reformers of the New People’s Party. Do you think the social partnership needs a relaunch and how could and should it look like? I do not want to break with the past and invent something new. The social partnership works very well in many areas. Just think about the more than 650 collective agreements in the country. But we have to develop the proven mechanisms but also to enlarge the table on one or the other topic. 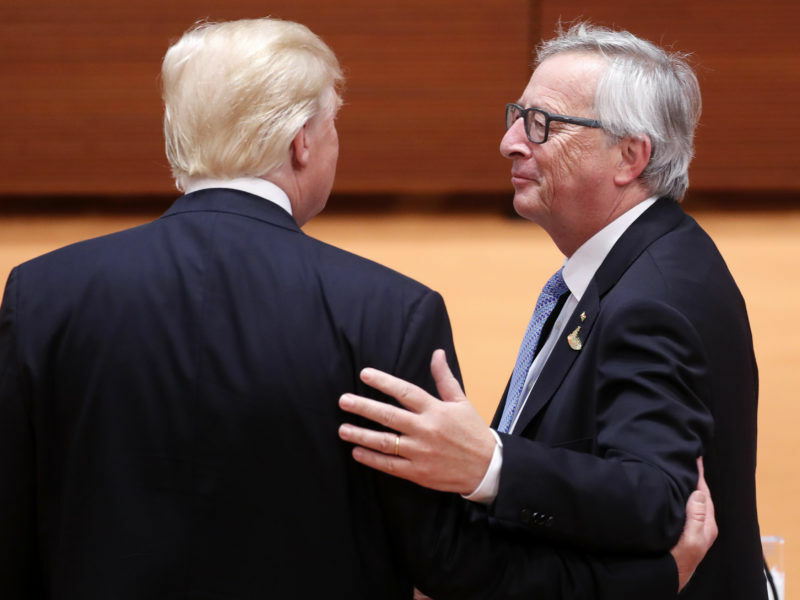 Austria’s EU Presidency is committed to preserving EU unity on the US trade dispute during its mandate but wants the European Commission to prioritise a transatlantic dialogue and avoid escalation. In other words, I can imagine inviting external experts to a kind of a think tank on major issues of the future such as education or care. The best minds from science, research, culture or the NGO sector can thus develop the best ideas. What would be your ideal image of an interest representation of the economy, where are reform approaches necessary, how do you hold it with the topic of “compulsory membership”? I am an advocate of legal membership. It is based on a deeply liberal idea dating back to the bourgeois revolution of 1848. The sense behind it is that the state authority can not play different groups against each other, but the groups organise in solidarity. It’s just as necessary today as it was back then. But, of course, reforms are needed in a traditional house like the Economic Chamber.